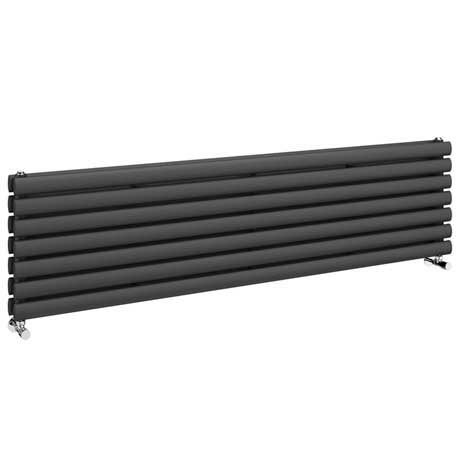 A stunning minimalist horizontal oval column panel designer radiator in a modern eye-catching Anthracite finish. The Metro range of sleek radiators are manufactured using the finest materials and offers outstanding heat output whilst the sizes available make it suitable for any sized bathroom. Comes with matching anthracite brackets for horizontal mounting.